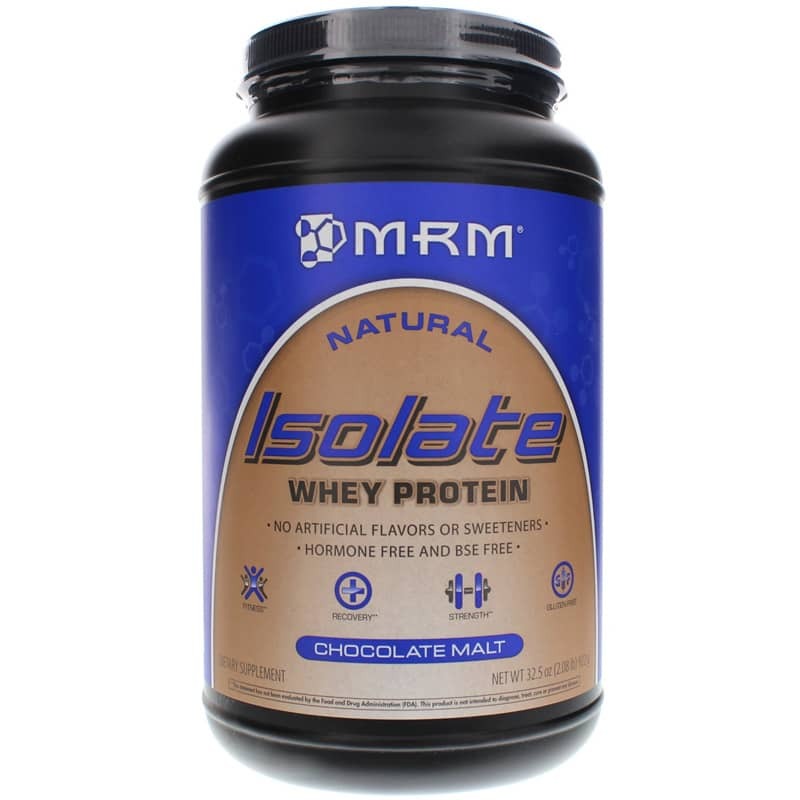 MRM Isolate Whey Protein Chocolate Malt is a whey protein powder that supports muscle building and recovery. 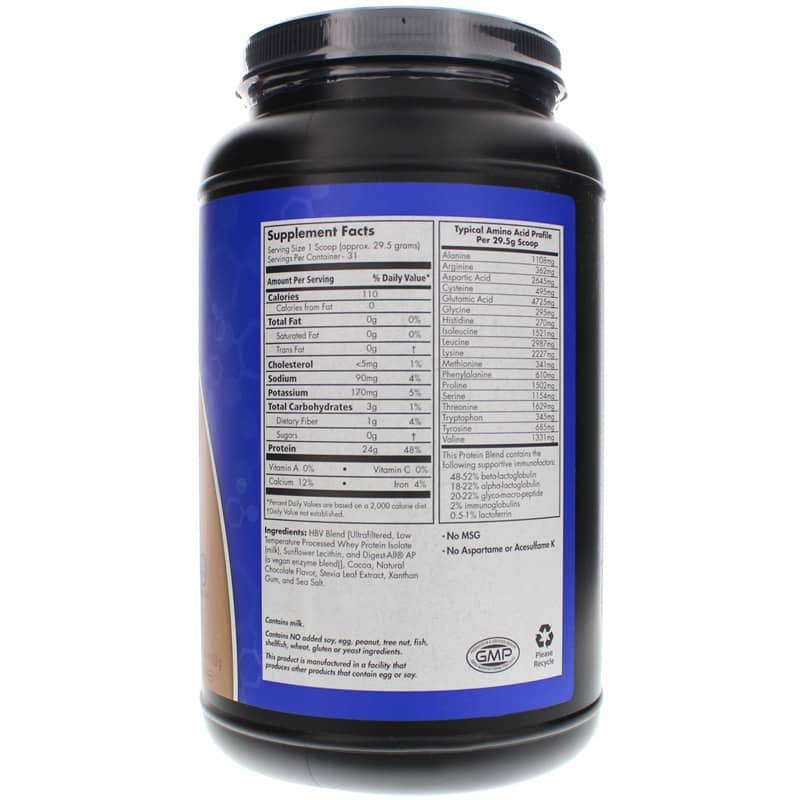 This whey protein powder formula is also hormone free and BSE free. A protein supplement derived from milk, whey protein isolate not only helps maintain and build muscle tissue but also aids in fat loss, as it helps the metabolism, promotes muscle growth and supplies important amino acids for fat loss. The nutritional makeup of whey protein isolate makes it especially appealing to body builders who want to develop muscle without adding fat. Protein is comprised of amino acids. And the amino acids found in whey protein may also help delay fatigue during exercise and aid recovery. MRM 100% All Natural Whey Protein Isolate yields 24g of protein per serving, with virtually no cholesterol or fat, and delivers a delicious, creamy taste. Each serving also contains 5 g of branched chain amino acids (BCAAs), which are concentrated in muscle tissue and burned to feed working muscles and stimulate protein synthesis. MRMs whey protein powder uses only the highest quality whey protein isolate (WPI), which is microfiltered at low temperatures to maintain the proteins integrity through the entire process. This whey protein powder is rapidly digested and is best taken immediately after intense training and first thing in the morning when fast-acting protein can be best utilized. As it is lower in lactose than other protein products, whey protein isolates are generally tolerated by people with lactose sensitivity better than other dairy containing products. MRM has added Digest-All AP, a vegan blend of enzymes, to its Natural Whey Protein Isolate to promote optimal digestion and absorption, as well as ensure there is no gas and bloating. 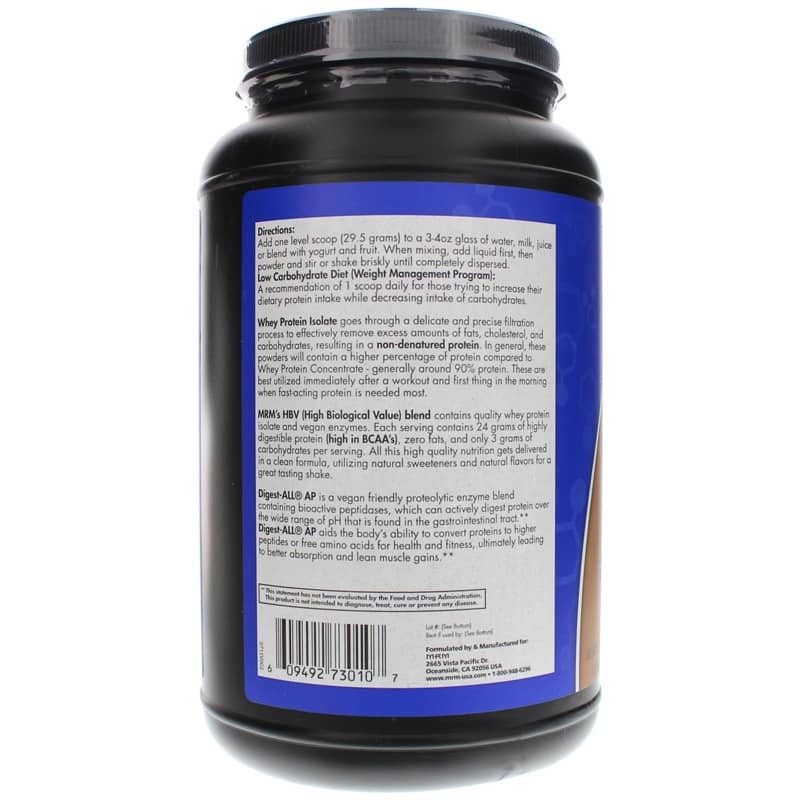 Digest-All is designed to boost your bodys ability to convert proteins to higher amounts of free-from amino acids for health and fitness, ultimately helping to develop better lean muscles. Ingredients: HBV Blend [Ultra-filtered low temperature processed whey protein isolate (milk), sunflower lecithin, and Digest-All AP (a vegan enzyme blend)], cocoa, natural chocolate flavor, stevia leaf extract, xanthan gum, and sea salt. Contains NO: artificial flavors, colors or sweeteners, MSG, egg, peanut, tree nut, fish, shellfish, wheat, gluten, or yeast. Adults: Add one scoop to 3 to 4 ounce glass of water, milk, juice or blend with yogurt and fruit. When mixing, add liquid first, then powder and stir briskly until completely dispersed.